A new house, commercial premises – and everyone has the same dilemma: Will the colour scheme create the right ambience? Will the new piece of furniture work in the new room? It’s the reason why interior design guru Carsten Batterman has created a purpose-built design studio where architects, interior designers and builders alike can visit, see innovative products in situ and be inspired. The Germany-based studio, STILHOF, has been built in Taufkirchen near Munich and provides 2,400m2 showcasing the best in interior design, and providing unmatched variety in exclusive furniture. The studio revitalises a magnificent building previously used as horse stables in rural Germany, providing the idyllic backdrop for a relaxed and inspirational design experience. “In creating STILHOF, we carefully selected partners which offer high-end, inspirational products. The studio provides settings which emulate a home or work or hospitality situation, and with different products on display, this allows ideas to cultivate further, offering alternatives that accentuate the product or room,” says interior designer Carsten, creator of STILHOF. EcoSmart Fires sit comfortably in the STILHOF showroom, with the elite selection of 10 indoor and outdoor fires on display in a variety of settings. 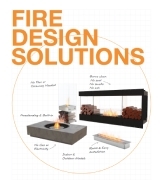 “All products we have on display at offer class and versatility. Having a product that we are unable to display or only works for customers in certain situations is not part of the philosophy we have created STILHOF on,” comments Carsten. 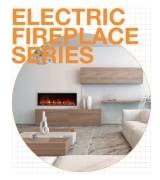 The EcoSmart Fires complement STILHOF’s careful choice of materials, such as stone and stainless steel. The versatility of the EcoSmart range allows burners to be implemented as part of STILHOF’s stone arrangements, or as a standalone display, such as an elegant flame housed between an architecturally designed stainless steel frame. “Stone and fire fit perfectly,” Carsten adds. “We can say we are working with two of the original elements of earth history. 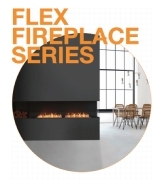 “The EcoSmart Fires literally light up the studio, and by having a selection of fires on display it demonstrates how the same can be created for any residential or commercial environment. I have installed an EcoSmart Fire in my own home, and I have clients – including high profile celebrities – who enjoy the ambience and warmth the EcoSmart Fires generate. In addition to installing EcoSmart Fires in the STILHOF studio and his own home, Carsten has installed fires in properties around Germany. 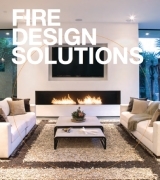 “We frequently recommend EcoSmart Fires; it’s one of the reasons why we integrated them into our showroom. Of course they create a cosy, nice atmosphere, a place where our clients want to stay; plus they are a very good product to sell to people who want a living fire at home, but are unable to have a traditional fire. The unique STILHOF concept demonstrates how best in class products can be brought together to offer the very best in interior design. The ideas that these carefully selected products and partners create ensure a design location from where distinction is born.